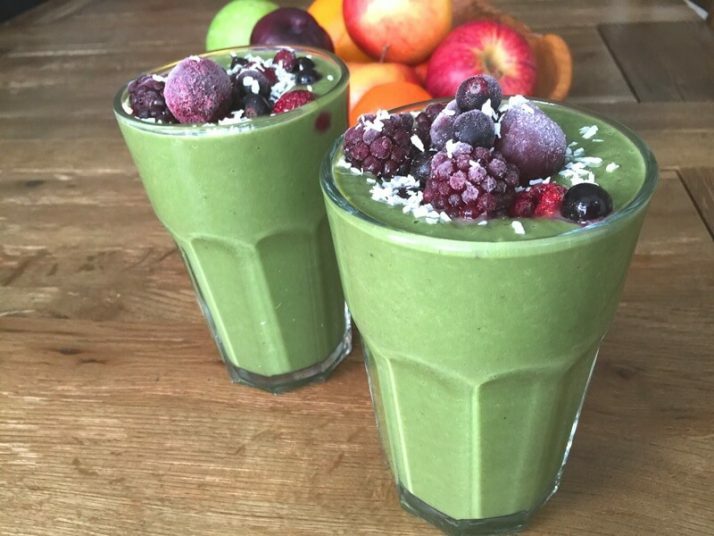 This delicious meal replacement shake is the ultimate healthy fast food on the go. When you don’t have time to make healthy food you end up eating whatever junk food you happen to come across. But just taking 1 minute per day to make your own meal replacement shake can save your health, help you lose weight and give you more natural energy throughout the day. This recipe is like no other. Not only is it completely natural, based only on whole plant based foods, but it is nutritionally complete. That means it contains all of the nutrients you need for one meal, all from natural sources. And as if that wasn’t enough, this meal replacement shake just so happens to taste absolutely delicious. This is why I’ve been drinking my meal replacement shake recipes for the last 10 years. 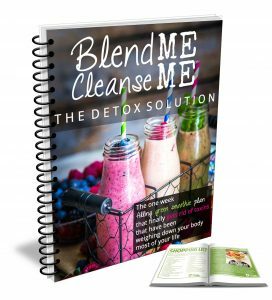 They helped me lose 56 pounds and keep it off. I have a special name for my meal replacement shake. It is called a Thickie. Whole food is thick when you blend it up. And studies have proven that thick shakes help you slow down when you drink them which has been shown to help you lose more weight. The vitamins and minerals that nourish the body and are essential to overall health are called micronutrients. You find them in food. You want to pick foods every day abundant in minerals and vitamins so that your body can remain healthy. Research, however, presents a society where most people’s diets are deficient in the number of vitamins and minerals that are necessary each day. The body uses vitamin D to absorb calcium, which promotes bone growth and works to maintain healthy teeth and bones. An adult typically requires 600 IU (International units) of vitamin D daily. If you are an elder adult, 70 years old and older, you need 800 IU every day. Sunlight provides a fair amount of vitamin D, but if you use sunscreen your exposure decreases. A regular diet might not be sufficient to give the vitamin D you need because there aren’t many food options rich with it. Some primary vitamin D food sources are fortified foods, which have vitamin D added. 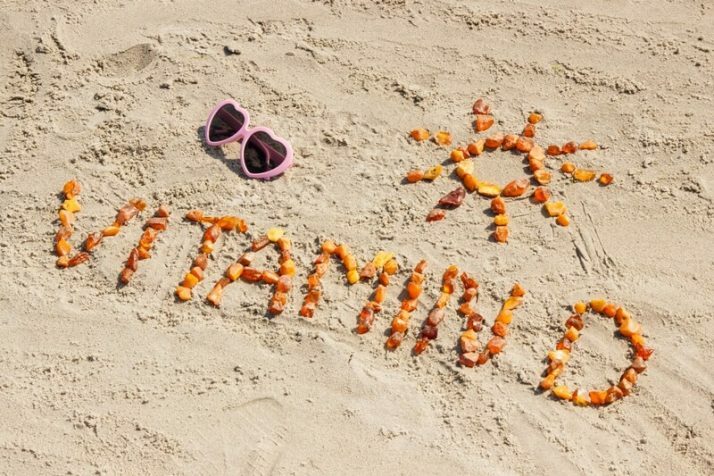 If you don’t get much natural sunshine, you will need to supplement with Vitamin D.
Interestingly, Vitamin D is actually a hormone, not a vitamin, so it’s no surprise we shouldn’t be able to get it from food. Calcium helps children and adolescence build healthy teeth and bones. However, as an adult, you need calcium for maintaining bone mass. If you are eating around 2,000 calories daily, then you should try to get 1,136 milligrams of calcium. 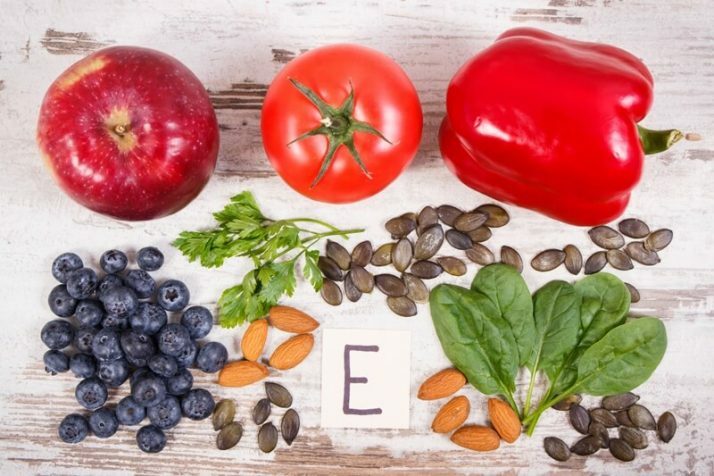 This nutrient is an antioxidant that works to combat damaged cells in the body. Vitamin B12 works to keep the nerve and blood cells healthy. It also helps to make DNA. Vitamin B12 also helps to prevent anemia. Vegans won’t usually be able to get Vitamin B12 from whole plant based foods. A lot of processed vegan foods such as plant based milks are fortified with Vitamin B12. However, a lot is still unknown about this vitamin and why some people avoid being deficient on a vegan diet without supplementation. To avoid risk of a vitamin B12 deficiency, everyone should supplement with this nutrient. 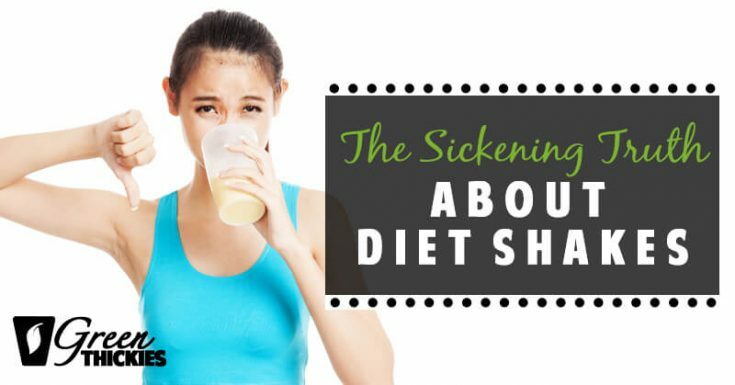 Even meat eaters can be at risk of this deficiency. Experts recommend that you have 4,044 milligrams of potassium every day. When you have a diet rich in potassium, it helps to keep your healthy blood pressure normal. Vitamin C helps the repair, and growth of all body tissues. It is critical in many of the bodily functions. 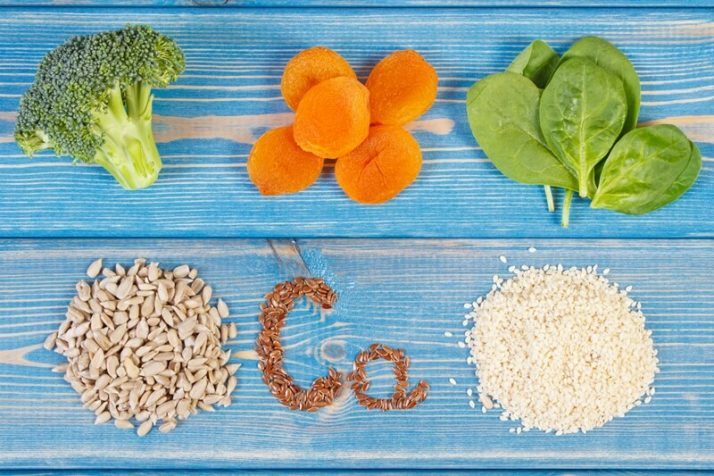 Collagen is the main protein that acts as connective tissue in the body, which vitamin C helps form in muscle, blood vessels, cartilage, and bones. 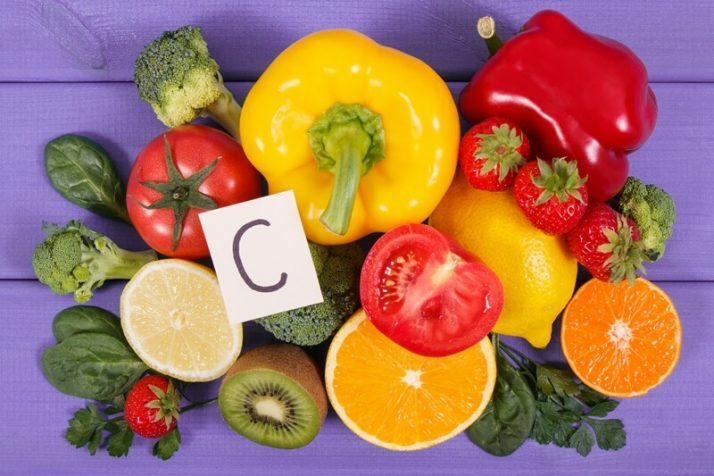 Vitamin C also helps with the absorption of iron, keeps the immune system healthy, and helps wounds to heal faster. This nutrient helps your heart, arteries, and muscles function properly and also helps to produce energy for your body. 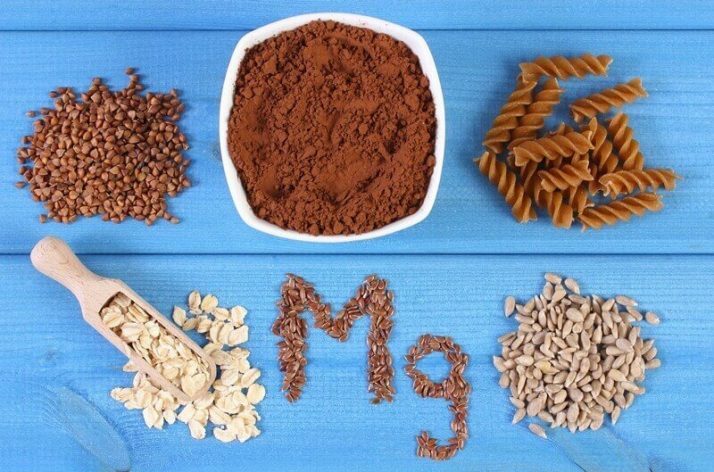 Experts recommend daily consumption of 380 milligrams of magnesium. Cellular growth and maintenance depend on this vitamin, which has a connection with vision development. You want to try to bring more of these nutrients into the body. It’s best to get them through food instead of a multivitamin because it’s easier to absorb micronutrients through whole foods, and overdosing on synthetic vitamins can be dangerous. There are many options for vitamin supplements, and they can help prevent stroke and heart disease according to research. 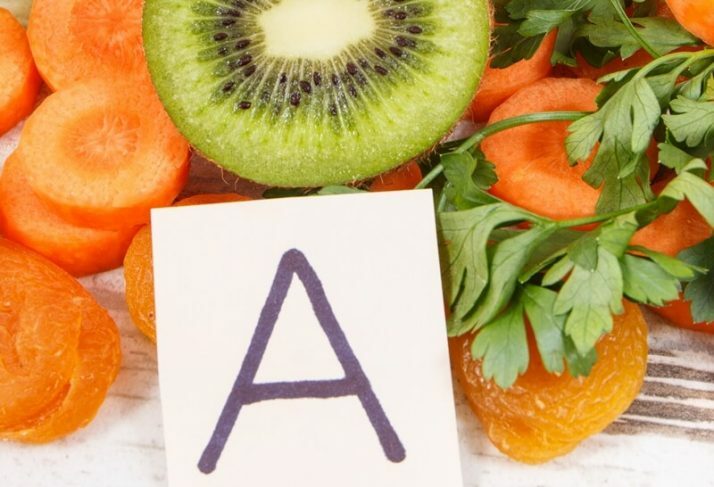 However, before you go out and purchase everything from vitamin A to Zinc, remember the best way to give your body the vitamins and minerals it needs is to eat healthy foods. The key is to have a balanced diet. Food should always come first. 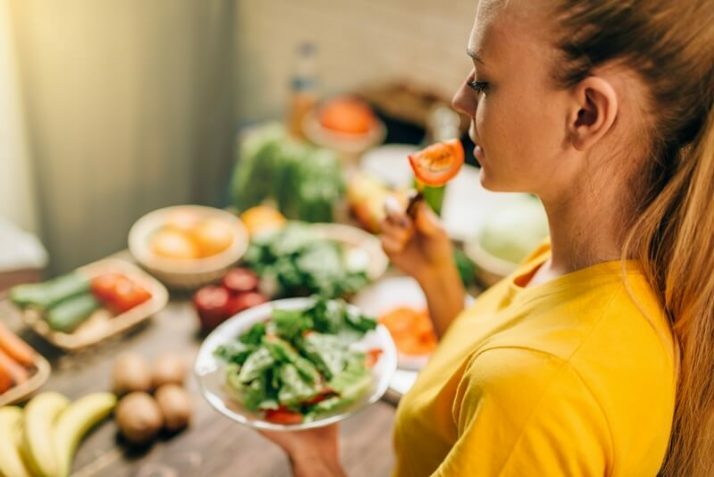 A professor at Pennsylvania State University says the reason nutritionists recommend that people eat foods as a source of minerals and vitamins because of the variety available in foods and dietary factors you can‘t get in a supplement. For example, supplements do not have the dietary fiber and bioactive compounds found in food. You shouldn‘t seek supplements as a substitution for food because synthetic vitamins can’t replicate all the benefits and nutrients of whole foods. Whole foods are an excellent source of antioxidants, which are substances you hear a lot of talks about as they slow down a natural process which can cause tissue and cell damage. Some supplements with a high dose of antioxidants have been linked to health risks and research doesn’t fully support them as being as beneficial as the antioxidants in food. Legumes, whole grains, vegetables, and fruits provide dietary fiber, which can protect against some illnesses, like heart disease and type 2 diabetes. Fiber, as part of a healthy diet, can also help with the management of constipation. There’s nothing quite like the complexity of whole foods which have various micronutrients which the body requires. 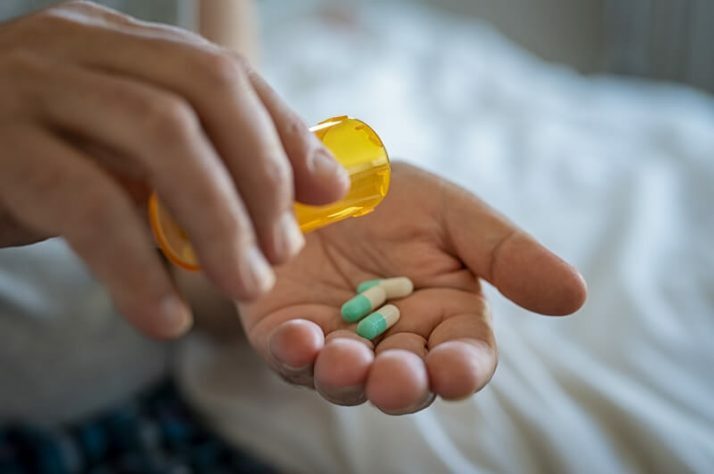 In general, if you are healthy and eat an assortment of foods, you probably won’t need to take supplements, apart from Vitamin B12 and Vitamin D.
Many people struggle to stay healthy and lose weight because they feel they don’t have the time, most often because they work a great deal. Drinking a meal replacement shake can shave a few minutes off your day and also help shave off a few of those unwanted pounds. It’s especially great for a quick grab and go breakfast in the morning. They are easy to make and require next to no time at all to create. Many people who are always on the go or who stay glued to their desks, typically resort to fast food. A meal replacement shake is a perfect way to get a decent amount of nutrition without having to take the time out for a sit-down meal. When you are extremely busy, working, or running errands it’s hard to eat healthily or sometimes eat at all. Fast food and meal-skipping can be detrimental to your body. When you starve yourself, your metabolism slows down, and you don’t lose weight as quickly as you may hope. 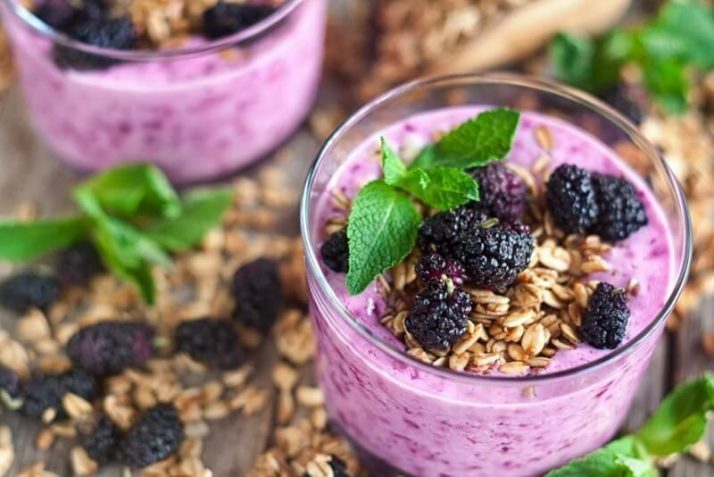 You want to keep your body running at peak performance all day long, and the best way to do that is to make sure it’s nourished throughout the day so you can lose weight. 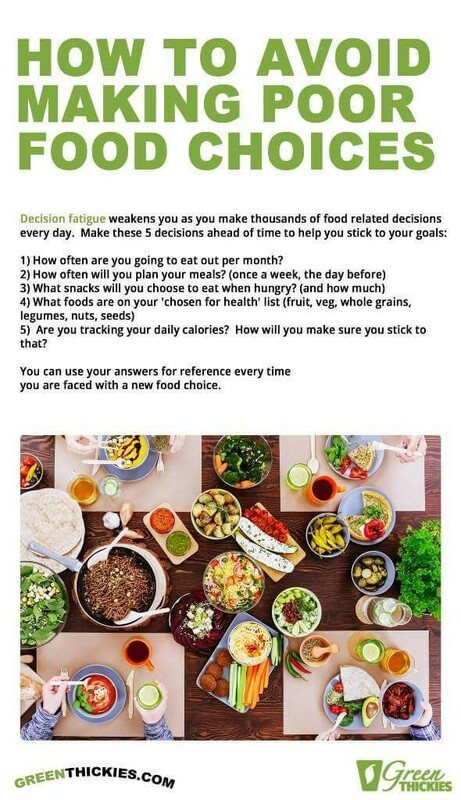 You want to eat nutrient-dense foods. Meal replacement shakes are ideal when you are super-busy, and they do not compromise your health or your diet. 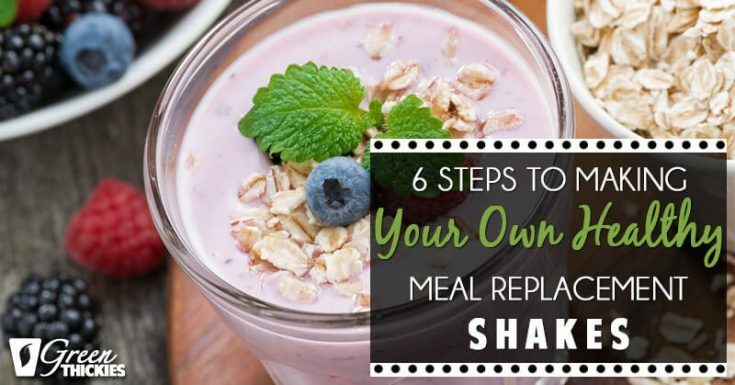 Now I’m going to share my favorite meal replacement shake recipe with you. I personally replace my breakfast and my lunch with this recipe. I have been drinking this particular recipe for the last few months and I’m absolutely loving it. 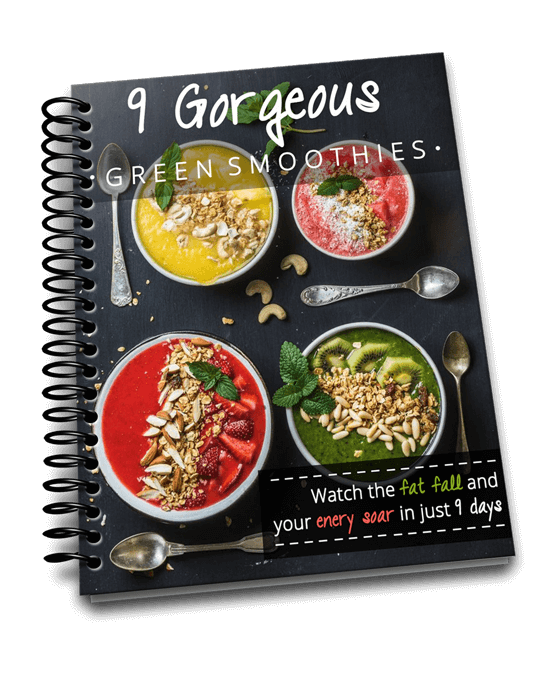 This delicious meal replacement shake is nutritionally complete which means if you were to replace all your meals with these shakes, you’d meet or exceed the recommended daily allowance. 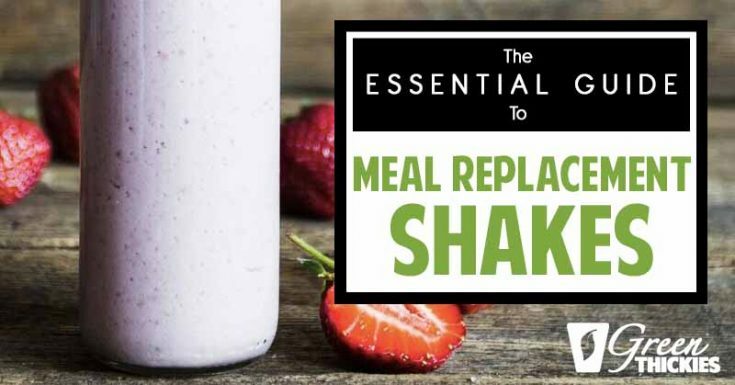 Your body will thank you for this healthy meal replacement shake. 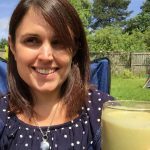 I recorded a video to show you exactly which vitamins and minerals are in this shake in abundance. 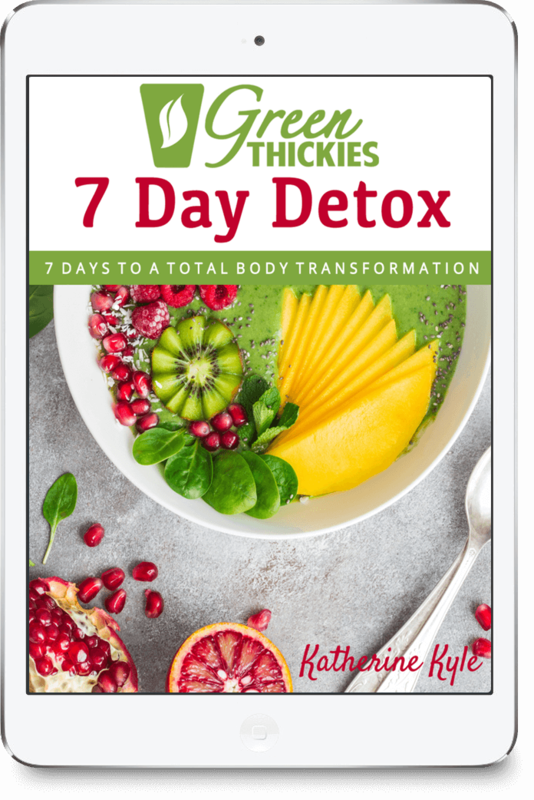 This is proof that you CAN easily meet all your recommended daily nutrients each day, with whole plant based foods, AND it doesn’t need to take up much of your time. This shake contains 432 calories which you might be thinking is quite high for a shake. But if you are replacing your meals with this shake, you need to keep your calories high enough so you don’t get hungry. 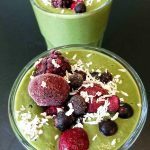 You can easily lose weight by replacing your breakfast and lunch with this shake and making a healthy vegan dinner. It’s certainly working for me. 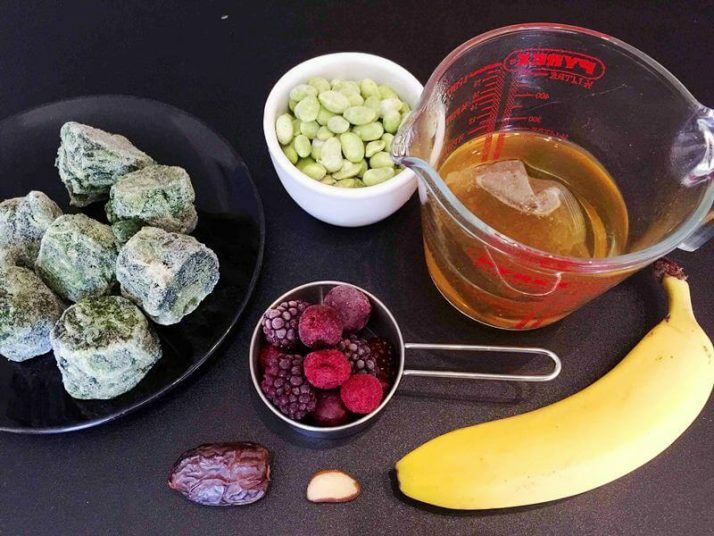 This shake serves 1, so if you are going to replace your breakfast and your lunch, you will need to double the recipe. Note: as you are using a lot of spinach, if you are using fresh spinach you will have to blend in batches as it won’t all fit in your blender at once. Blend with the water before adding any other ingredients. I personally use frozen spinach because it is cheaper and I can store more of it for longer. What I do is steep green tea in a jug for 3 minutes, then pour that over my frozen spinach. 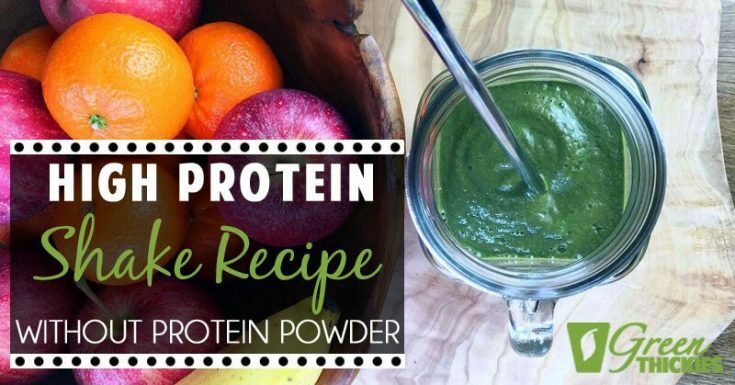 It wilts the spinach and makes it easier to blend. You can also leave frozen ingredients to thaw first. If you are trying to lose weight, weigh or measure everything and eat similar foods every day to save time. You can see where I get all of my favorite ingredients and equipment by visiting my resource page. You don’t want to get so caught up in your daily activities that you let your health deteriorate as a results of settling for fast or processed food. 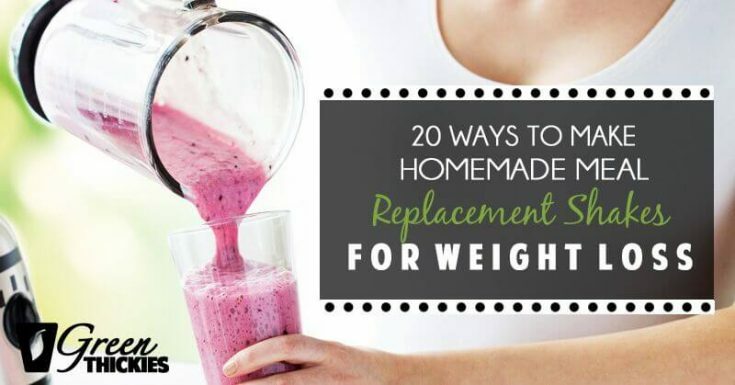 Meal replacement shakes made from whole foods can easily and quickly give you the nutrients you need to stay energized throughout the day, while being an essential part of a weight loss regimen. If you liked this article, you’ll probably also love 9 Best Meal Replacement Shakes: Filling Meals In Minutes. 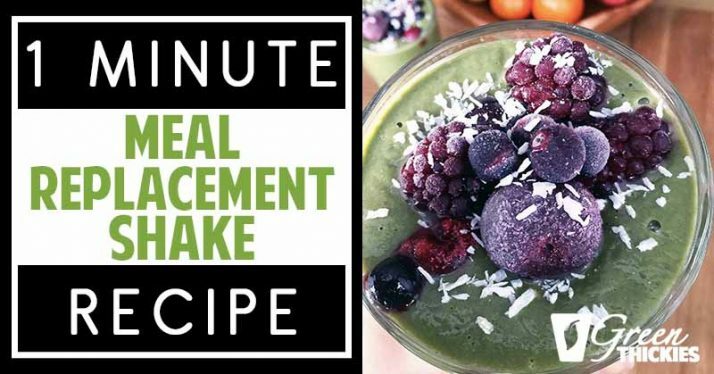 If you enjoyed this 1 Minute Meal Replacement Shake Recipe, please let me know your thoughts in the comments.